Hasbro, makers of many awesome toy lines such as Nerf, My Little Pony, and Star Wars action figures, have launched their answer to Kickstarter. HasLab will be a hit with adult toy collectors, as Hasbro present ultra exclusive, often large collector model, and ask interested parties to show their support by backing the project to ensure it gets made. Basically, you pay upfront so Hasbro can make and distribute something cool... and they're starting with Jabba the Hutt. 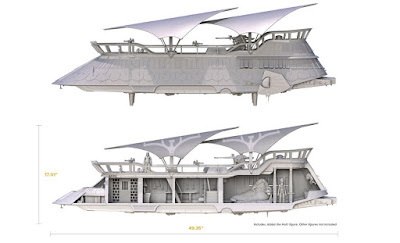 The first HasLab project will be a huge Jabba's Sail Barge from Star Wars: Return of the Jedi. The model, which has been designed to fit the standard 5.5 inch action figures, will be over 40 inches in length, and 17 inches tall. So big; far too big and expensive to produce as a mainstream toy, but if Hasbro get 5000 people to pre-pay the $499.99 (ouch) it will get made and shipped. 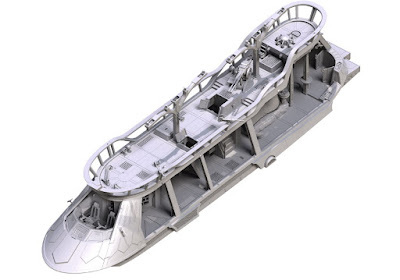 The Sail Barge will be highly detailed, with the interior being accessed by removable side panels. 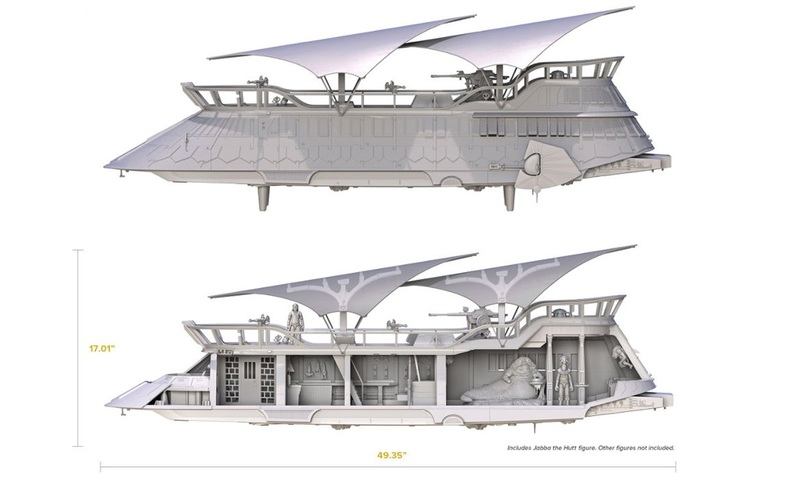 There are no figures included included with it, however you will get an exclusive Jabba figure to sit on his throne in the rear of the craft. If you're a full-on collector of Star Wars toys, as this project will no doubt appeal to, then you've probably already got a Princess Leia in gold bikini figure, right?